If you are looking for used buses for sale, then you have come to the right place. We offer a variety of school bus brands, in a range of different sizes and models, to suit your transportation needs. 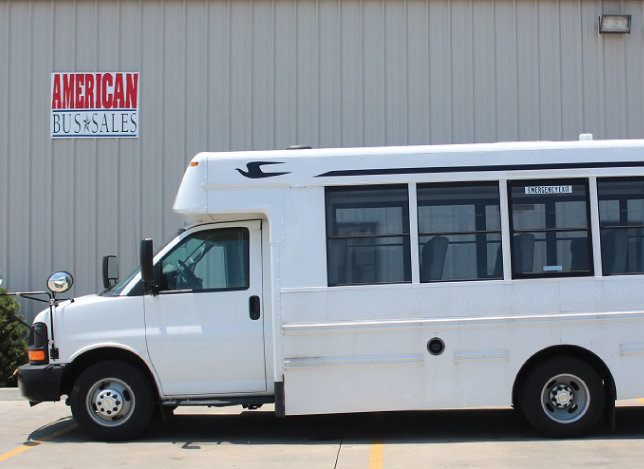 Our vast collection of used buses for sale includes used school buses, special needs buses, childcare buses, wheelchair lift buses, mini buses, church buses and so much more. American Bus Sales offers nationwide sales and delivery. 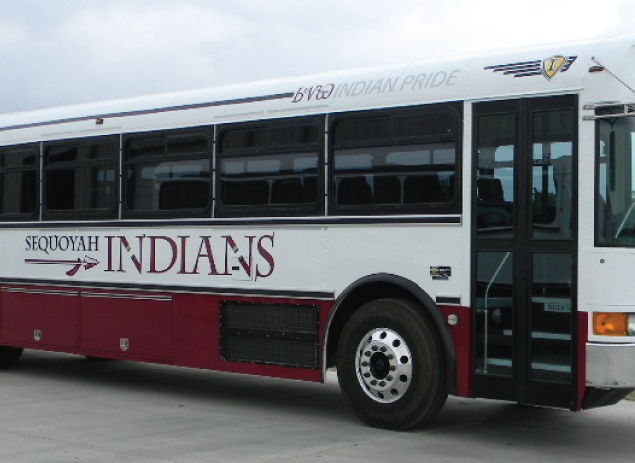 We have one of the largest selection of used buses for sale in the nation. Our brands include Blue Bird, Thomas, IC Bus, Chevrolet, Ford, and many others. 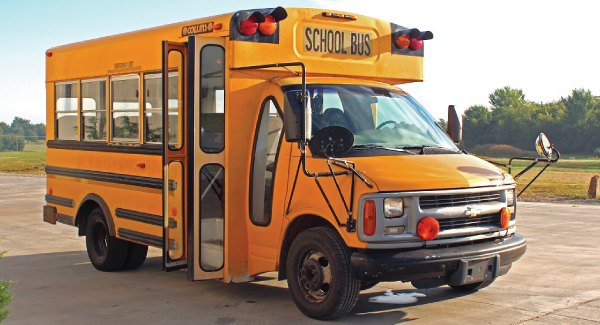 If you need a reliable used school bus for any purpose, give us a call! Most of the buses we sell come with the added assurance of a warranty as well. There are a number of different types of used buses for sale. Conventional Buses are the kind in which a school bus driver would be accustomed to. The wheels, the hood, and the engine are positioned in front of the driver. These models are also fairly straightforward for mechanics to work on as well. Transit Buses are increasing in popularity and come in two different types. The first, has the engine at the front; the second, has the engine at the rear. These types of transit buses have the same length (wheelbase) as a conventional school bus, along with a large capacity for seating. If you are considering buying a used school bus with a rear engine, then this could be a slightly higher initial cost. However, these types of school buses are able to clearly pass through any entrance way. 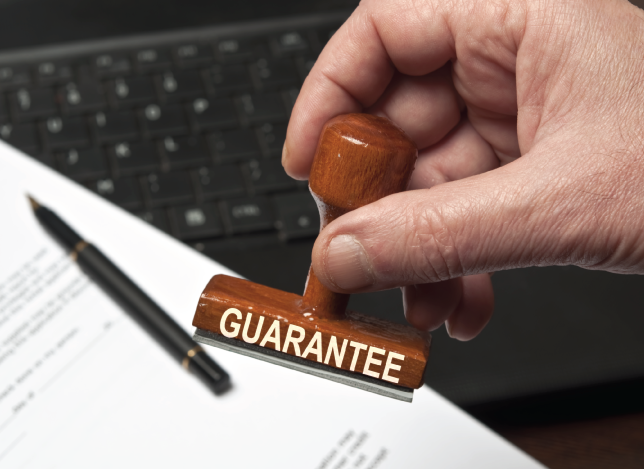 So, paying more upfront might save a lot of time and convenience later down the line. Bus drivers have also said that because they do not have to endure the engine heat or noise that they are more comfortable to drive. 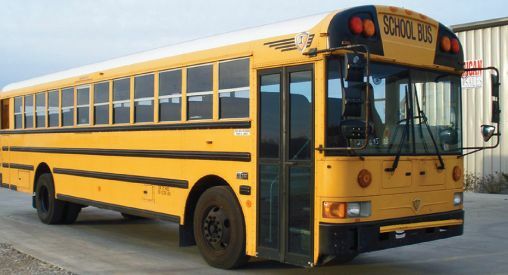 Rear engine models tend to have a lower seating capacity because the emergency door is located on the side, as opposed to the rear of the bus. If you are looking for used buses for sale (transit buses), then you want to make sure you have considered all factors. 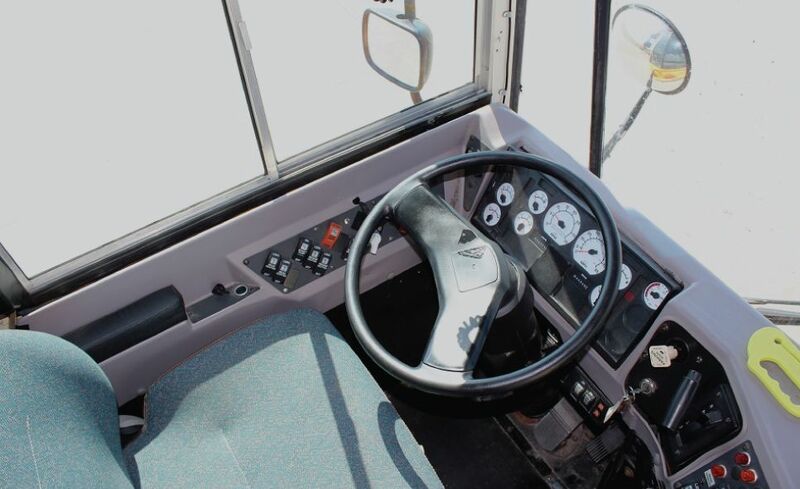 These factors include: the purpose, the potential different uses, the seating capacity, the comfort for the driver, the condition, and the overall cost. 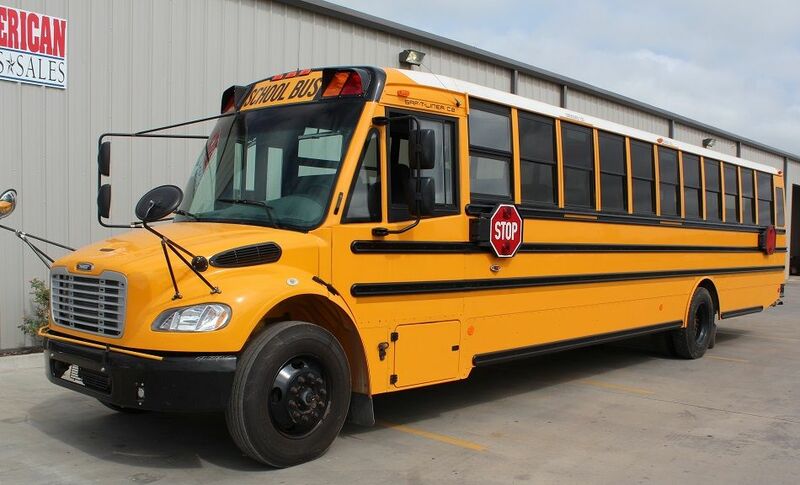 Come in to American Bus Sales and check out used school buses. 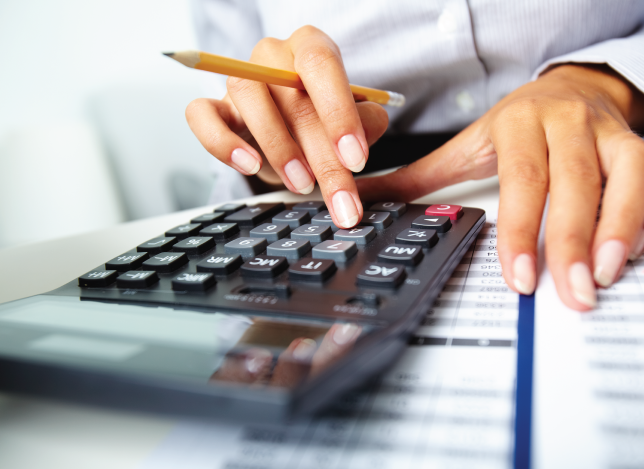 Our staff will walk you through our inventory and answer any questions you may have. We can’t wait to help you find exactly what you are looking for! Since 1927, Blue Bird Corporation has been a leader in the transportation industry. 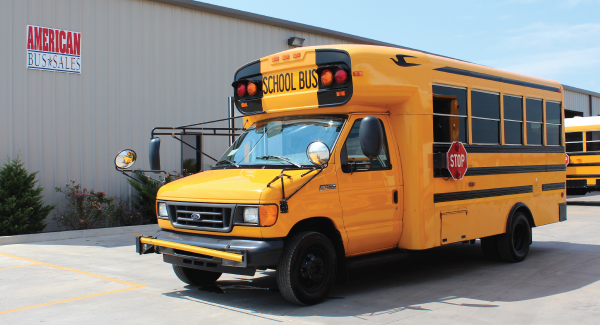 Known for their safety standards and innovative design, Blue Bird offers top of the line Type A, C and D school buses. American Bus Sales is a proud provider of Blue Bird buses. Our most popular models include the Micro Bird, Blue Bird Type C Vision, and the Propane-Powered Vision. A branch of Daimler Trucks North America LLC, Thomas Built Buses offers a full line of driver-friendly Type A, C, D and D Chassis vehicles. 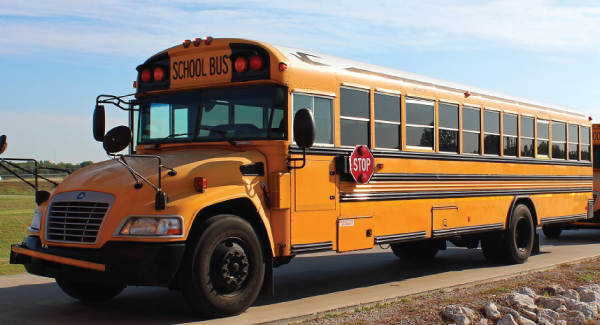 Specializing in Earth friendly and specialty buses, Thomas Built Buses is not only committed to school bus safety but also the preservation of resources and the reduction of emissions. American Bus Sales is happy to offer a variety of Thomas Built Buses. Over the past 10 years, IC Buses has been one of the number one bus manufacturer in the bus industry. With a better engine and supported transportation for students, they are designed for comfort, safety, and reliability. Do you have a transportation need? We have the bus for you! Our wide selection of used buses for sale that can accommodate as few as nine passengers and as many as ninety. 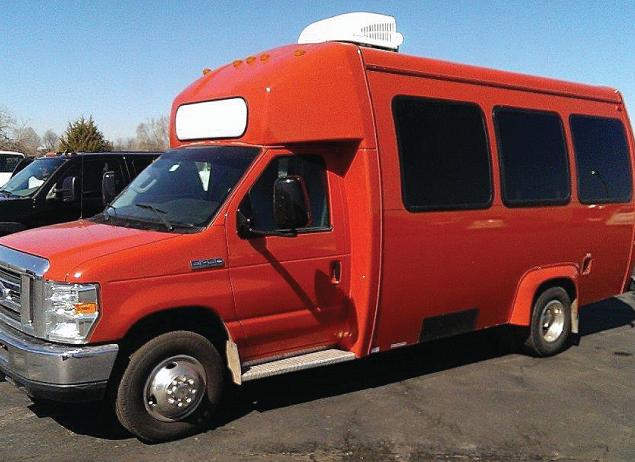 Each bus is fully customizable and can be tailored to your particular needs. Whether you want a custom paint job, graphic decals, air conditioning, extra storage or wheelchair accessibility, American Bus Sales can help fulfill your vision.